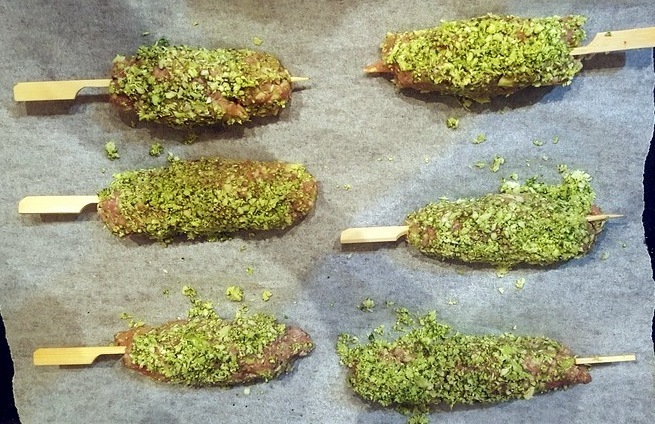 The skewers are always a fun idea, both to make and to eat. 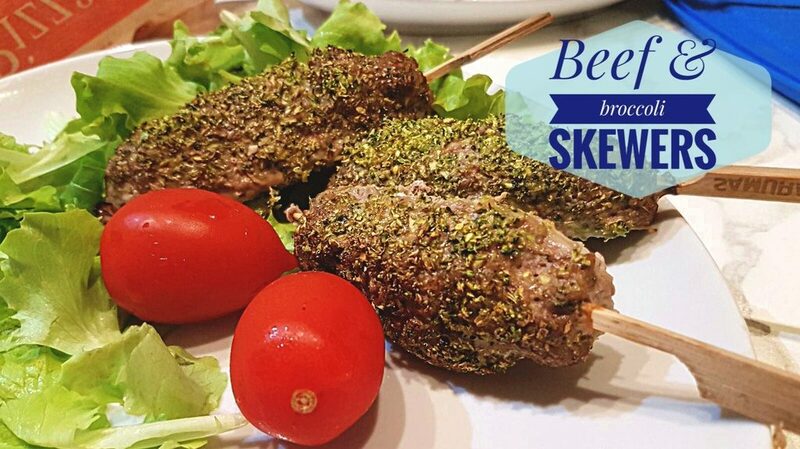 These beef and broccoli skewers turn a boring dinner into a colourful party, plus they are easy and quick to make. They are also very versatile, you can even use them as an appetizer. I use this recipe when I’m in those Low-carbs days, I always want to coat everything in breadcrumbs, I might call it poetic justice…I don’t know, but for sure, I have to figure out breading without bread or grain. Fortunately vegetables come to my aid, in this case I chose some broccoli, but for instance I could have used a turnip, a carrot or any other vegetable with a fibrous texture. I’d rather have these skewers for dinner, when I have more time, matching everything with tomatoes, salad, and cucumber with a drizzle of olive oil on top. It tastes very good. 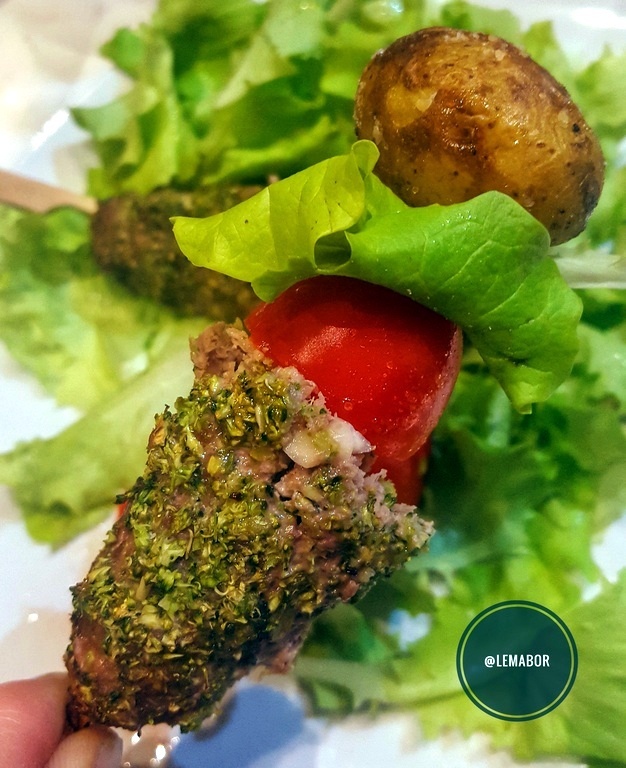 To make this dish I spent € 8.40, it’s roughly €1.40 each skewer. I must say that it’s not really cheap, but considering the meat I used, I wouldn’t have expected to spend less indeed. 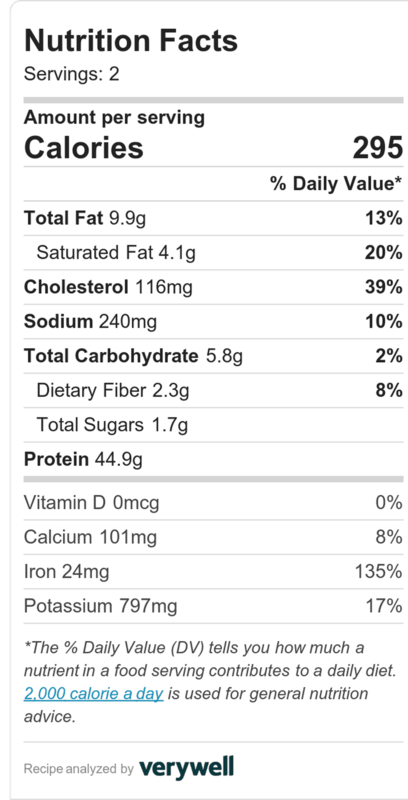 However It’s a good dish, with a great ratio of macros / price / satiety. 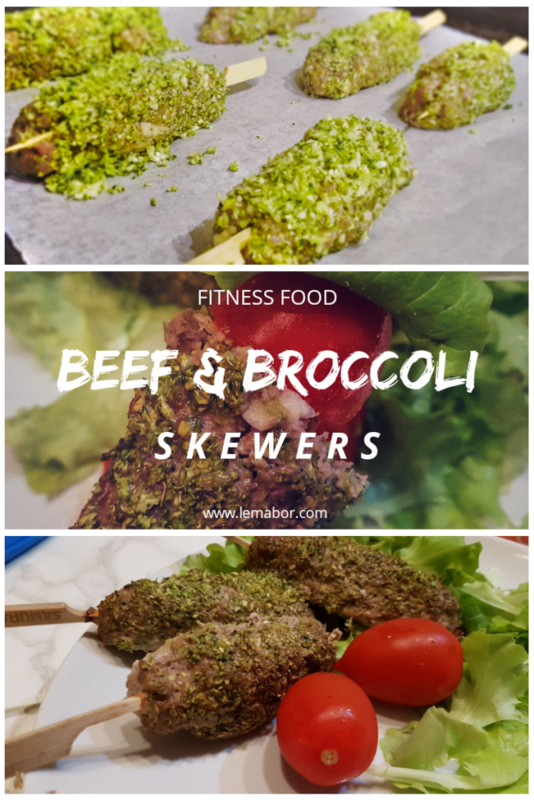 These beef and broccoli skewers are pretty nourishing and I often have them with brown rice, spelt, barley or other cereals available, when I’m off of the lowcarbs days, of course. The ingredient availability is excellent, everything can be easily found in any supermarket. Rinse the broccoli, cut them into pieces and blend them finely, as if they were a grain. Scoop out half of the broccoli into a flat plate and put the remnants in the mixing bowl. In the bowl add the ground beef, spices, then combine well along with the Parmigiano Reggiano and the pasteurised egg whites. Pick up 6 sticks for skewers and soak them in water. Shape 6 balls of the mix with your hands. Lengthen them, insert a stick and shape the meat all over the skewer. Bread each skewer in the broccoli “grain”. Line a baking sheet with baking paper and lay the skewers. Bake at 180-200 °C for 25 minutes. Bread each skewer in the broccoli "grain". Bake at 180°- 200 °C for 25 minutes.